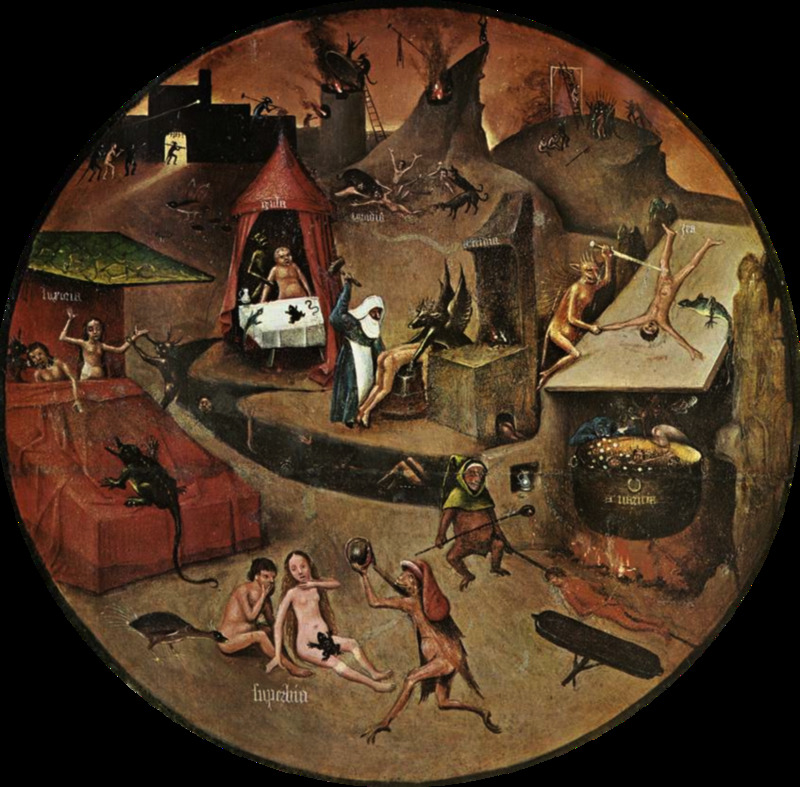 Detail from "The Seven Seadly Sins and the Four Last Things" by Hieronymus Bosch, depicting the specific eternal punishments that will be unleashed on the sinners - unless they repent. On the right side, a greedy man is being boiled in liquid gold. Performed by Johan Ullén and Musica Vitae. Live-recording from the premiere at Palladium in Växjö, Sweden, 26th February 2016. The concept of deadly sin has its roots in a passage in the Old Testament, and was designated dogma by the medieval Christian Church under Pope Gregory I. The Church discriminates between venial, or lesser, sins, which may be forgiven, and so-called deadly sins, each and every one of which is fully sufficient to condemn the soul to perpetual suffering in Hell. The tango, on the other hand, arose as musical entertainment in the brothels of Buenos Aires. It was a form of dance where buyers and sellers of sexual services were able to get acquainted. During the 20th century, the tango underwent a formidable status change, rising up out of the brothels and progressing, via dance halls and singing film stars, to the prestigious classical music scene. The legacy of the original Argentinian sin is, however, never completely eradicated. One could even be so bold as to claim that the deadly sins of the ecclesiastical world are, in fact, the pure virtues of the tango world: pride, lust, wrath and envy are typical ingredients both in the old tango song texts and in the attitude of the music itself. 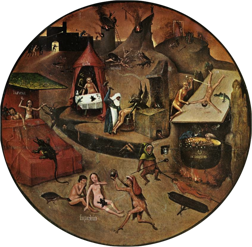 I have used various methods in depicting the different mortal sins. The first two tangos are direct characterisations: Hybris (pride) and Acedia (sloth). I chose to narrate the third tango, Invidia (envy), as a drama of jealousy. The piano and the cello are wrapped up in a stormy love affair, when suddenly the violin appears and seduces the cello. The piano continues, abandoned, in the background. Avaritia (greed), is the one deadly sin I didn't manage to find any conciliatory or charming qualities in. This tango takes the shape of a desperate, giant grindstone, crushing everything in its path. In the sixth tango, Gula (gluttony), I commit musical gluttony. Instead of using recurring themes, as in the classical tango form, this tango consumes one melody after another in a musical bulimia that makes the tango grow obsessively until it bursts. The seventh and final tango, Ira (wrath), is a slow tango, where the anger boils up very gradually inside. The Deadly Sins for Piano and String Orchestra was commissioned by the Swedish string orchestra Musica Vitae, and was premiered by the composer himself. The Deadly Sins were originally written as a piano trio, for the ensemble Trio Nova, who gave the piece its premiere and have, since then, performed it numerous times.